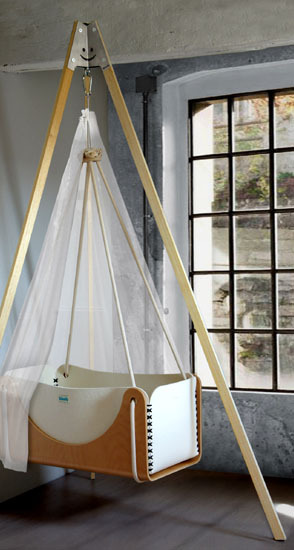 "Roll" the suspended cradle that swing and bounce, allowing your baby to sleep easier. 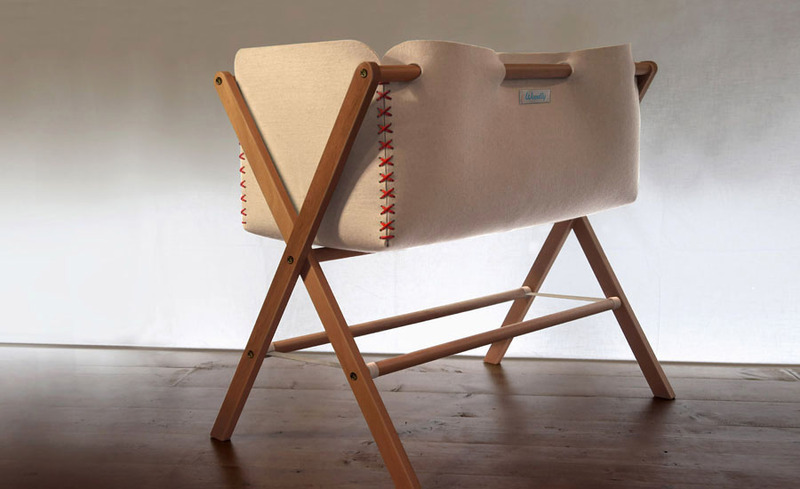 A birch shell holds a padded nest in pure wool felt for a child total comfort. Hanging up the cradle makes it swing not just in one direction, movements become soft and random, similar to the child’s movements inside it's mother belly. Four strong cotton ropes join together in a central wood ring connected to a hook on the ceiling. Or alternatively, you can hang it at our new tripod "Happy Feet". 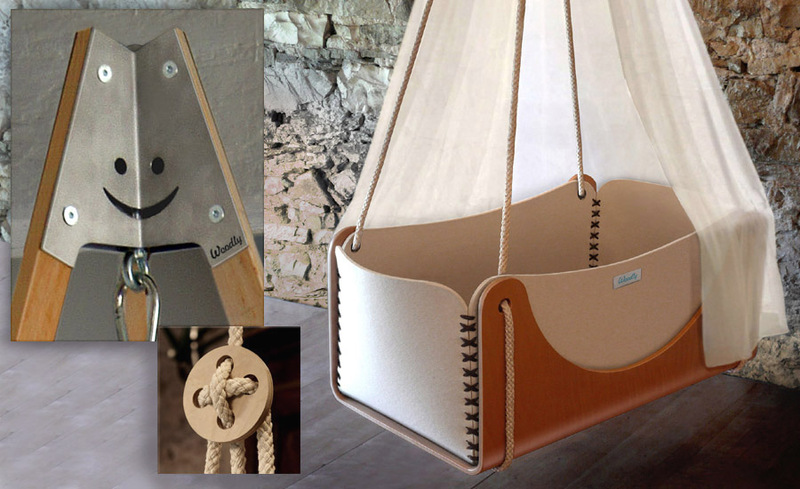 The inside cradle can be pulled out and washed, and tomorrow may become an elegant magazine holder, while the birch shell, turned upside down will be an handy little table for the child's room. Within it a cotton and biological spelt husks mattress to grant confort and transpiration, with a natural soothing and anti suffocating function. Here's the newest Pluma cradle, for those who like to stick to ground.. . A soft nest made out of pure, non treated, wool felt sewing by hand "saddler" style, supported by a light and strong solid wood structure. Within it a cotton and biological spelt husks mattress to grant confort and transpiration, with a natural soothing and anti suffocating function, for fantastic naps! 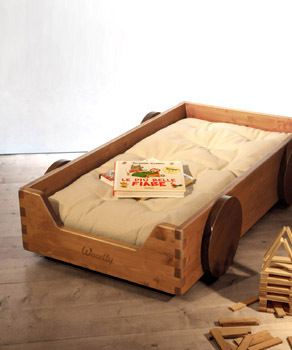 And after the cradle, when your baby grows, a playful floor bed, Montessori style, for total freedom. 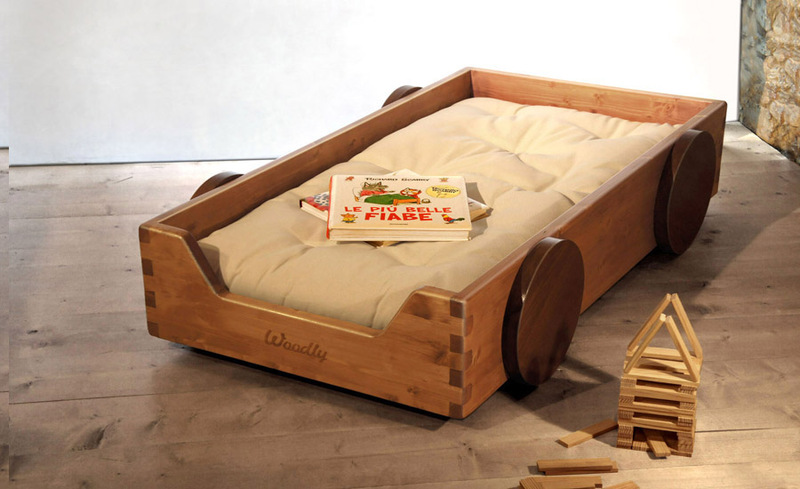 The child can easily climb on and off the cot, but the side edges will prevent possible night tumbles. 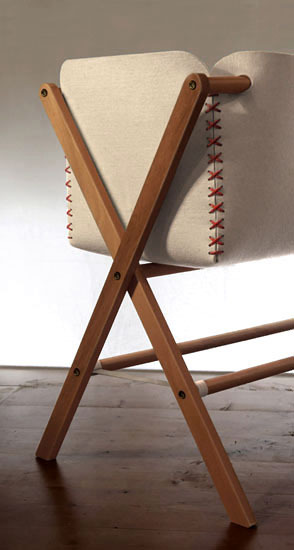 Hand made in FSC certified, solid beech wood, with comb joints, finished with hand applied traditional shellac and beeswax.